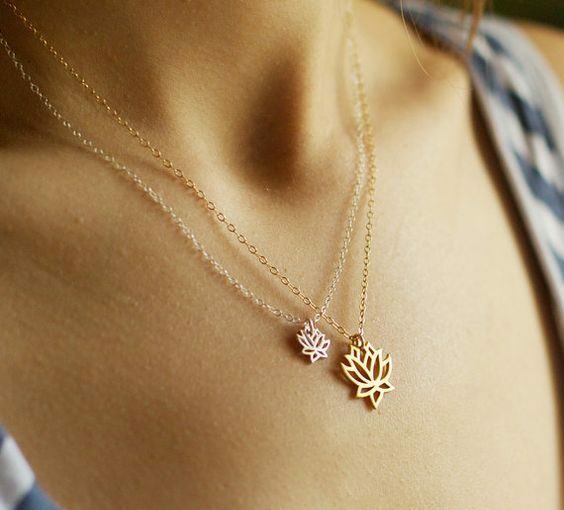 Why are lotus necklaces such a craze? For starters, they are effortlessly stunning and versatile. Aside from its eloquent look, the lotus holds enormous symbolic meaning. Ancient texts have regarded the lotus as a symbol of spiritual enlightenment and rebirth. Perception is everything when it comes to figuring out the meaning of a lotus. Buddhists and Hindus believe that the flower has a clean and pure appearance while ancient Egyptians noticed the lotus closes its petals and sinks into the water at nighttime; thereby associating it with rebirth and the Sun. 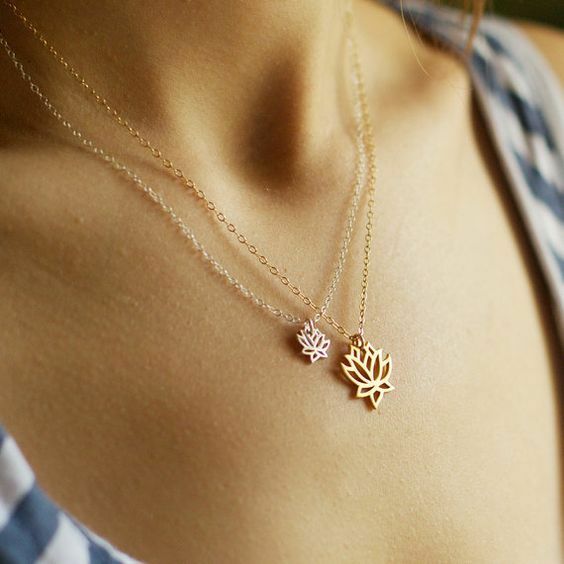 No matter what ancient meaning you agree with, one thing is for sure; lotus necklaces are perfect for summer and we have given into the craze! 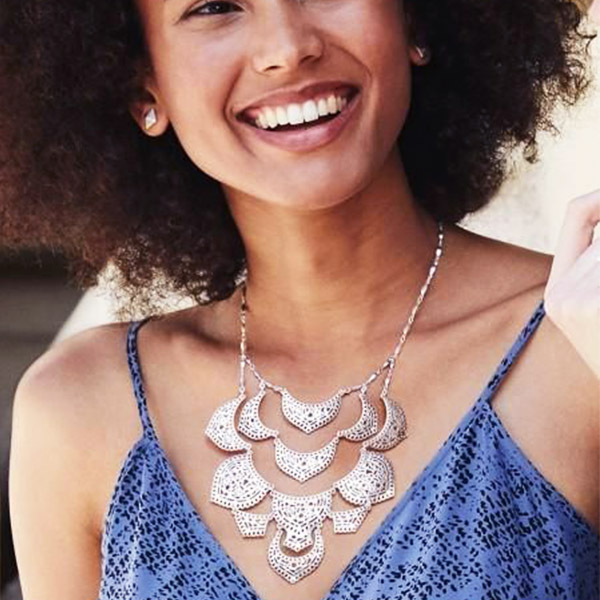 Our top stylists at Ana Luisa have picked 3 lotus necklace styles for you to try and play around with. Combine edginess with elegance in your choker lotus necklace! You will get a hint of that ancient spiritual feel mixed with the chic modern style of a choker. 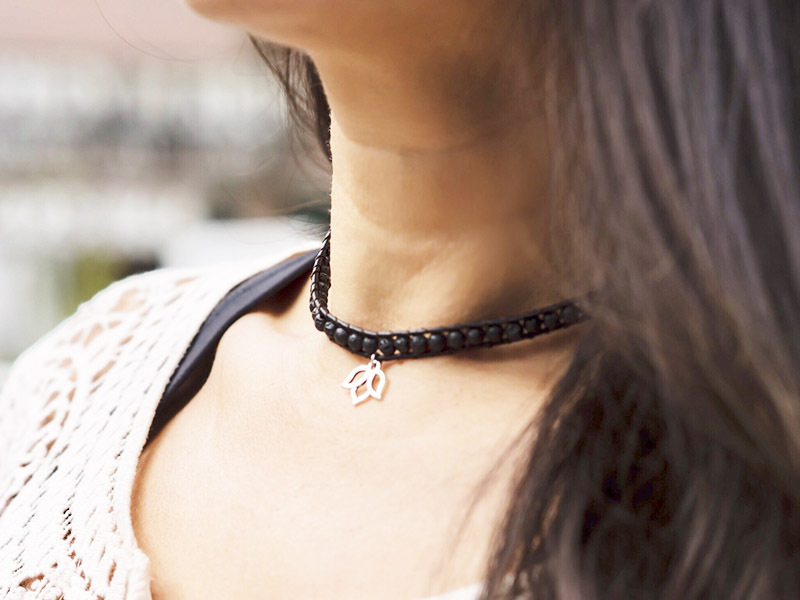 Feel free to pair your lotus choker with other choker necklaces for a stylish layered look. For those of you with cool skin undertones, a silver or white lotus would look absolutely stunning. If you have warm skin undertones, you will be sure to rock a gold or rose gold lotus necklace. Pair with a light-weight off the shoulder top and shorts for a breezy summer look. A long lotus pendant will be sure to give you that vintage appeal. Adding a long necklace will give your outfit more dimension as well as make it look more interesting. A long necklace gives a distinctive look to your overall ensemble that you can pair for any setting! For a laid-back look, pair a long lotus necklace with an oversized t-shirt or sweater with a lace bralette underneath. For work or school, you can pair a long lotus pendant with a button-up shirt or tank and black jeans. There are tons of combinations when it comes to pairing long necklaces. Are you one to stand out? Try a bold look with a lotus statement necklace. We get it, simplicity isn’t everyone’s cup of tea, which is why we chose to share an eccentric and stand-out piece for you go-getters. You can try a large lotus statement necklace to pair with a low-cut top or a lotus necklace punctuated with charms. The variations of statement necklaces are endless! Pair a statement lotus necklace with a silk slip dress or a bright blouse and a denim skirt.